1. Preheat oven to 375 degrees. In a large saucepan, add butternut squash, garlic, thyme, almond milk, and stock. Cook until squash is fork-tender. Remove thyme sprig. Place mixture in a food processor or blender, and puree until velvety smooth. 2. Meanwhile, cook macaroni until al dente (semifirm). Drain and rinse with cool water. 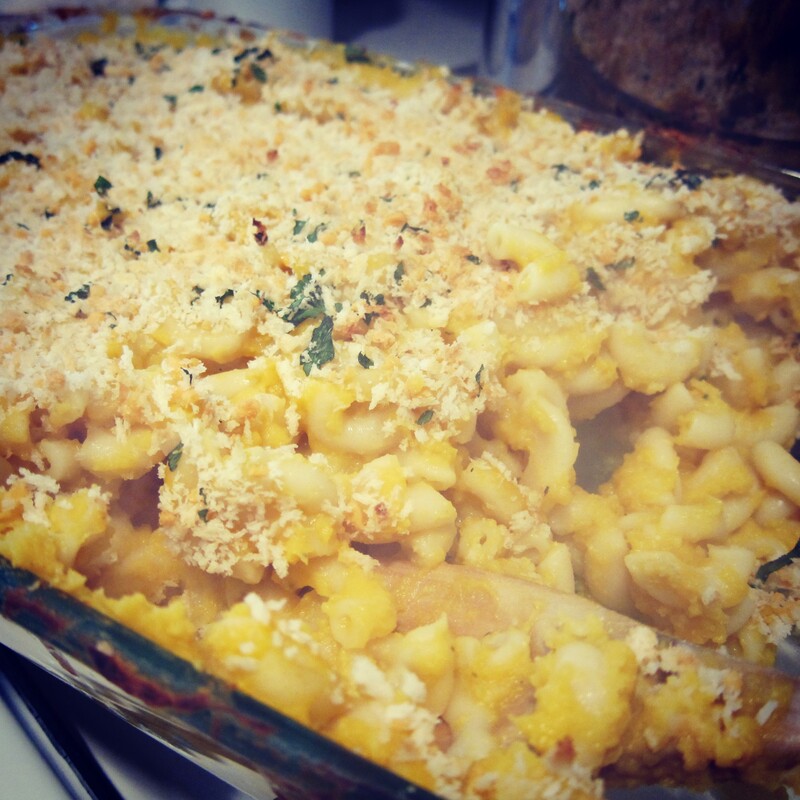 Spread out macaroni on a lightly greased 13-by-9-inch pan. Pour squash puree over noodles. Cover with foil, place in oven, and bake for approximately 45 minutes. While casserole bakes, combine all ingredients for breadcrumb topping. 3. Remove pan from oven and evenly spread breadcrumb topping and Gruyere over top. Transfer to broiler and broil for 5 to 10 minutes until cheese is brown and bubbly.